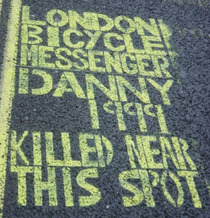 London bicycle messenger, Danny, 1999, killed near this spot. We captured this memorial a few years ago (c. 2006) and don't know if it has survived the traffic. 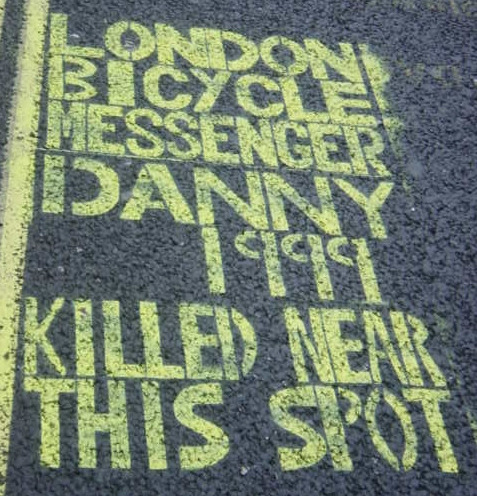 London bicycle messenger, killed in a traffic collision in Praed Street.